Colin was born in Regina, Saskatchewan Canada but has lived in the Las Vegas area since 1994. He attended Green Valley High School and has helped coach JV football for the Gators. Dr Campbell received his undergraduate Bachelor of Science degree from Willamette University, where he also played middle linebacker for the Bearcats for 4 seasons. He received his Doctorate of Dental Surgery from the University of Colorado in 2007. Colin met his wife Michelle during his studies in Colorado. They were married in the summer of 2007. His wife Michelle is a native of Ohio and is a practicing Physical Therapist. They have a daughter, Caroline and a son, Carter. 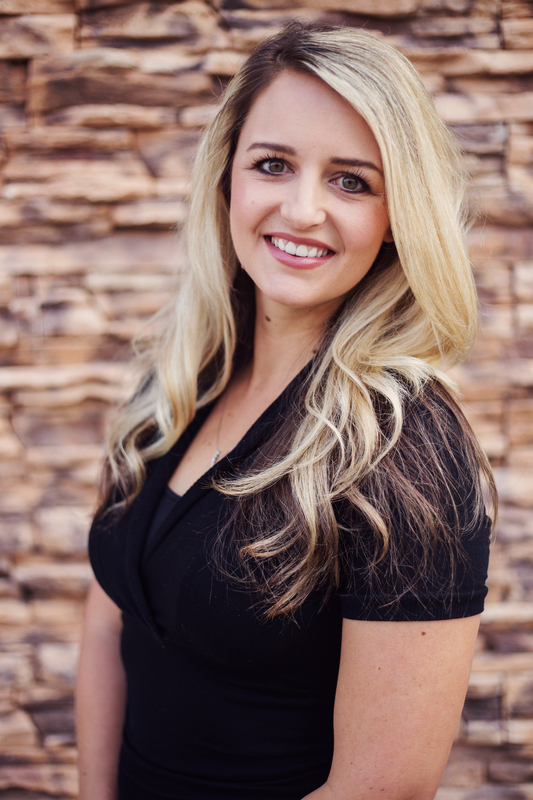 Dr.Campbell is a standing member of the American Dental Association, Nevada Dental Association, and the Southern Nevada Dental Society. Dr Campbell has sat on the Nevada State High School Governing Board, where he was vice president and president. He served for 4 years before term limits ended his time there. He is dedicated to continuing education and is committed to offering his patients the most cutting edge techniques and services. 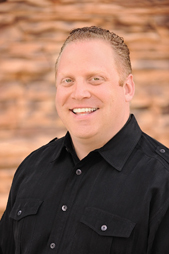 He is a certified Invisalign provider and he also restores implants to permanently replace missing teeth. He sees his patients as family and strives to make every smile beautiful. He's known as a bit of a comedian and always tries to make dentistry fun and comfortable for all of his patients. I am a Las Vegas native, currently living in the Green Valley area. 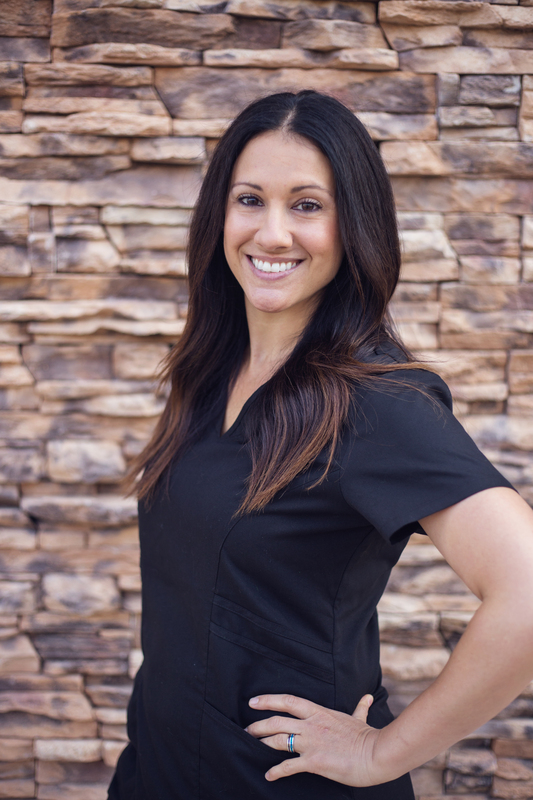 I have enjoyed working in the dental field since 1999, when I was hired as a dental assistant. In 2007, I was accepted into the Dental Hygiene program at College of Southern Nevada which I graduated from in 2009. That year I became part of the family here at Dr. Colin Campbell's office. I feel very fortunate to be a part of such a clean, compassionate, and friendly office. 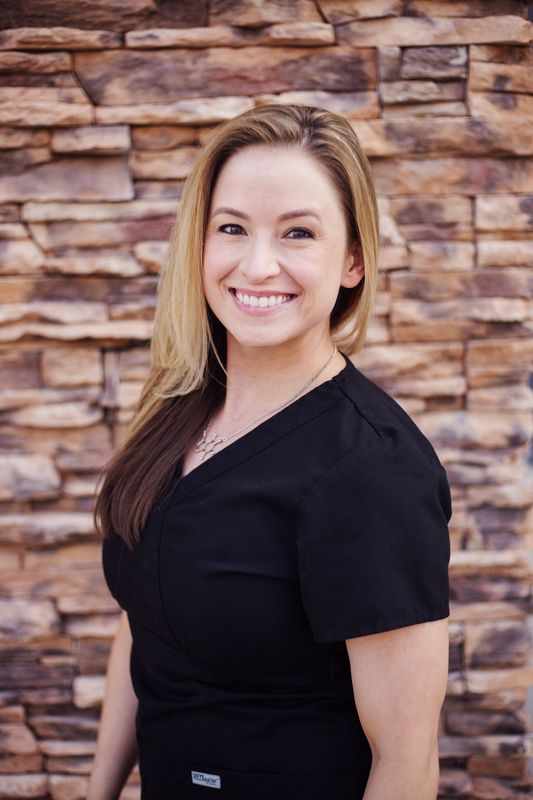 I care greatly about all of our patients and I strive to make each experience as comfortable and pleasant as possible. 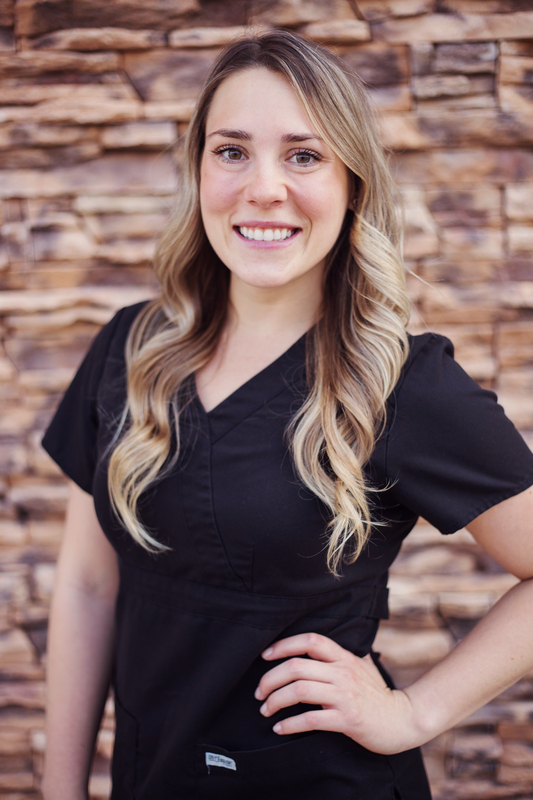 I am extremely proud to say that I work at St. Rose Family & Cosmetic Dentistry. We are one big, happy family and it shows! In my free time I like to spend it with my husband, Luke and our dog, Bailey. My time off is usually spent traveling internationally and nationally. We are always planning our next adventure! I was born and raised in South Bend, Indiana—Go IRISH! I graduated from Indiana University-Purdue University of Indianapolis in 2011 with my Associates degree in Dental Hygiene, and began my career that same year. I continued with my education as I worked and earned my Bachelor’s degree in Dental Hygiene in 2012. Eventually I would love to go back to school and obtain my Master’s degree so years from now I can teach future dental hygiene students. After a couple of horrible winters in Indiana I decided it was time to move to a much warmer location. I am fortunate to work with Dr. Campbell and could not have picked a better office to work for. Immediately they took me in and I thank God every day for it. I not only consider the staff as my friends, but more like my second family. My coworkers help make living away from my family and friends a tad bit easier! I am thankful for our patient pool here at St. Rose Dental. It is amazing the type of relationships you can form with each and every patient. In my free time I like to be outdoors and try new activities. I also caught the travel bug so seeing a different city every few months has been a must for me. I was born and raised in the great state of Michigan, and moved to the Las Vegas and Henderson area in 2006. I have been in the dental field since 1999 and started working with Dr Campbell in 2007. We make quite the team, not only are we good at what we do, we have a lot of fun doing it. Being a native of Mid-Michigan I proudly cheer on my Detroit teams. Having attended Michigan State University, I am proud to be a Spartan (Go Green!). In my free time I enjoy spending time with my boyfriend, Blaise. I also enjoy watching most sports, going to concerts and movies, reading, lifting heavy weights and spending time with my friends. I was born and raised in a small town in beautiful Colorado. I moved to Colorado Springs for college and finished the two year program for Dental Assisting in 2012. My sister, Hannah, had relocated to Las Vegas and begged me to make the move out to Vegas to live with her- why wouldn’t I? I moved to Henderson in 2015, met my fiancée, Jathan, and searched for an office like Dr. Campbell’s. I finally found it and couldn’t be happier to work with this amazing staff and our great patients. Life is moving so fast and people keep telling me it will only move faster. I believe life should be spent with the people you love, discovering the world and trying new things. I make a huge effort to travel, explore different cultures and make memories. I also dabble in hiking, fun runs, Crossfit and gymnastics. Staying active keeps you young and healthy- just keep moving! 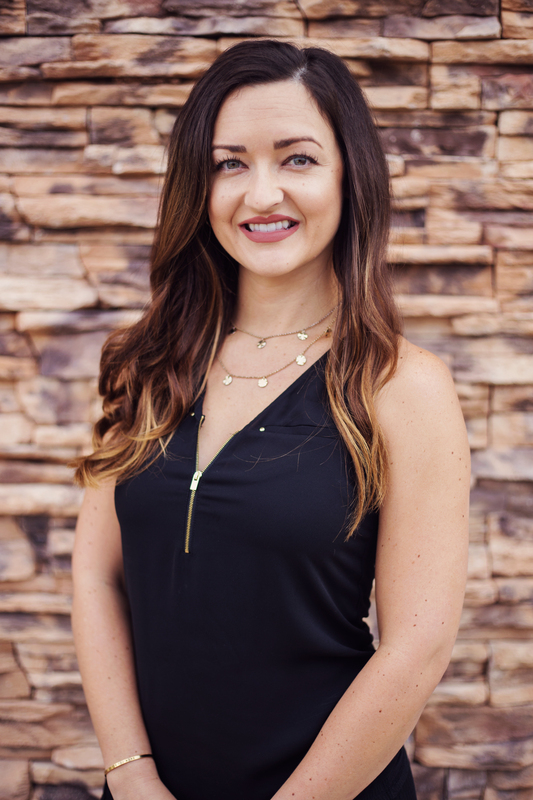 I was born and raised here in Henderson, NV along with my two sisters, one of which I have the pleasure of working with here at St. Rose Family & Cosmetic Dentistry. The team here at St. Rose is an awesome one to work with, we all enjoy each other’s company and truly care about our patients. I have been in the dental field since 2007 and took two years off to raise my sons, Ryker & Locklin. I am very grateful to have ended up here with Dr. Campbell and the team. I live in the Henderson area with my husband, Chris and my two younger sons. On our weekends we enjoy spending time with family. We all love to go fishing, camping and hunting during the season. We love being outdoors and keeping busy. I was born and raised here in Henderson, NV and lived in Colorado for a short time while my husband Cody was in the Air Force. I have been in dentistry since 2007 and thoroughly enjoy what I do. 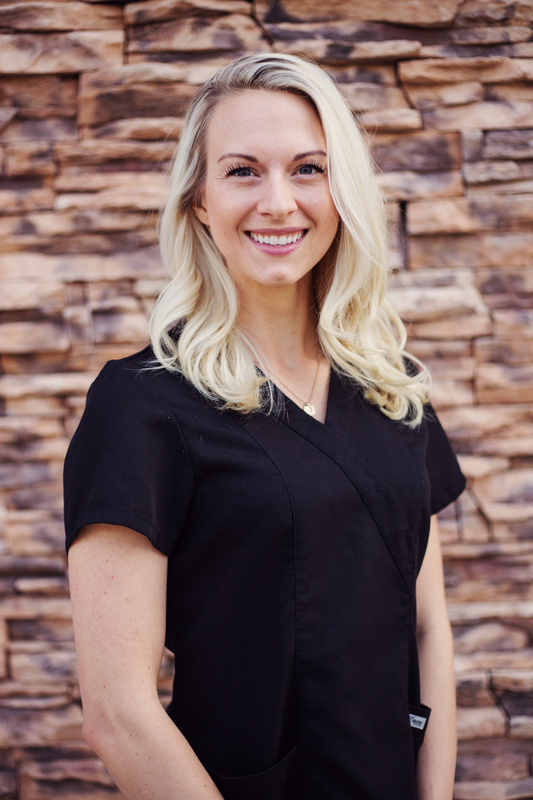 I love being in a position that allows me to have a lot of interaction with the patients here at St. Rose Dental. I feel fortunate to work for Dr. Campbell and be surrounded with co-workers that enjoy each work day together. One of my co-workers happens to be my sister. Working with her makes the work day that much more enjoyable! I live in the Henderson area with my husband and our family lives very close so we spend a lot of time with them. On our free time, we enjoy doing outdoor things and spending time with family. Most of our weekends are spent camping, hunting, going to the lake, or just spending good old family time cooking together. As a patient here, I know you will be happy and feel comfortable with Dr. Campbell and his staff. I look forward to meeting you!